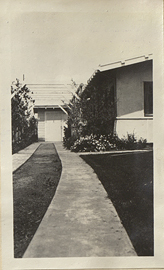 Cottage Driveway with Trellis, photograph. 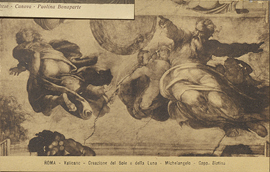 Creazione del Sole e della Luna (Michelangelo), Sistine Chapel ceiling panel, postcard. 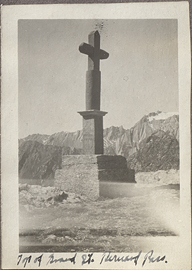 Cross at the top of St. Bernard Pass, photograph. 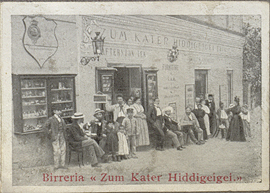 Crowded Patio of the pub Zum Kater Hiddigeigei on Capri Island, Italy, miniature photograph. 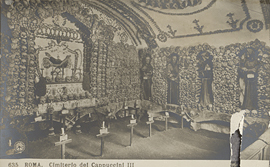 Crypt of Skulls in the Capuchin Catacombs in Rome, postcard. 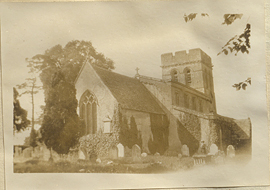 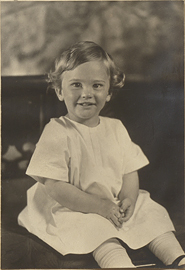 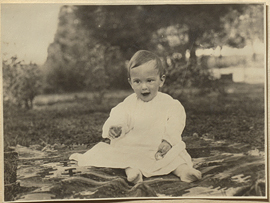 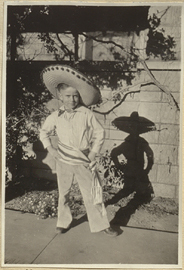 Deacon in Mexican Dress, photograph.